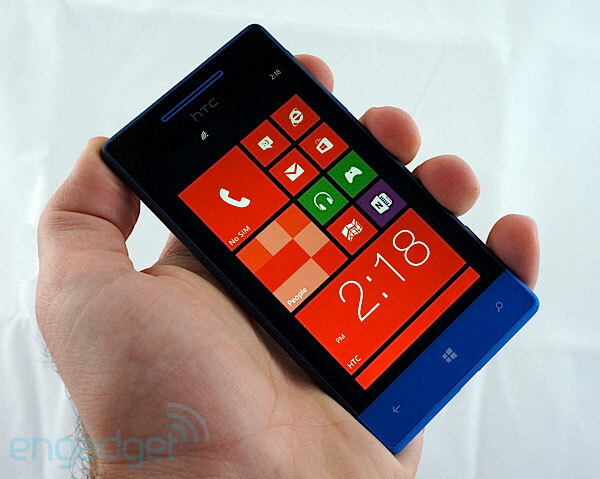 The HTC Windows Phone 8S was announced as a lower-end alternative to its bigger brother, the flagship Windows Phone 8X, but the company has remained relatively quiet about it since. While we're still awaiting official details on pricing and availability across the globe, HTC has filled us in on one crucial nugget of information: it won't be coming to the United States. While we've been suspicious that this might be the case, we had been holding out hope that it might have at least some amount of reach in the US market. 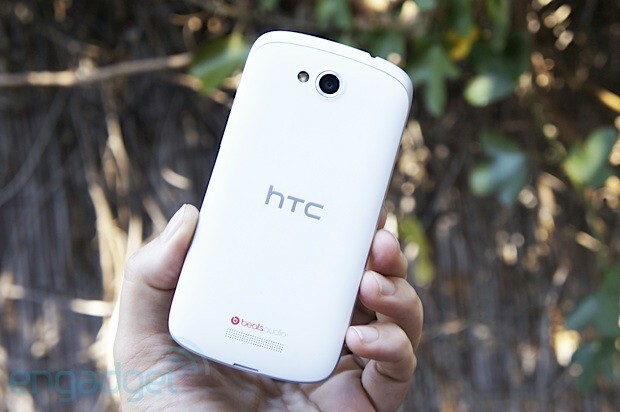 Essentially, HTC is focusing all of its stateside efforts on the 8X, its signature device. With that said, we'll still likely see the 8S show up as an unlocked and unsubsidized smartphone on various etailers, so Windows Phone enthusiasts with a penchant for bright colors will want to keep their eyes peeled. Now that we know more about the markets that won't be graced by the presence of the 8S, all we need now is a confirmation on when we can expect it elsewhere. Stay tuned past the break for HTC's official statement. We've been wondering how much the first full month of iPhone 5 sales would skew US market share in October. The answer is... not much, if you ask ComScore. Android kept growing to 53.6 percent of American smartphones on the back of the Droid RAZR M, Galaxy Note II and other devices, but the iPhone's market share just managed to remain steady at the same 34.3 percent as in September. Apple could mostly be glad that it wasn't in the position of its older rivals: the BlackBerry dipped below 8 percent share, while the wait for a Windows Phone 8 turnaround may have triggered a sharp drop in Microsoft's stake to 3.2 percent. There was a symbolic (if anticipated) changing of the guard for the wider American market, however. After months of closing in, Apple just barely edged out LG to become the second-largest cellphone maker of any kind on the US stage at 17.8 percent. A familiar scenario elsewhere kept Samsung once again on top at 26.3 percent, while Motorola and HTC remained on a downward slide. We'll be keeping a close eye on how the November results alter the status quo -- between Windows Phone, LG's Optimus G and a cavalcade of multi-device launches, there's been potential for more than one tidal shift in the mobile world in the past few weeks. Nativity scenes could use some spicing up. I’m sick and tired of seeing sheep and donkeys and the three wise men. 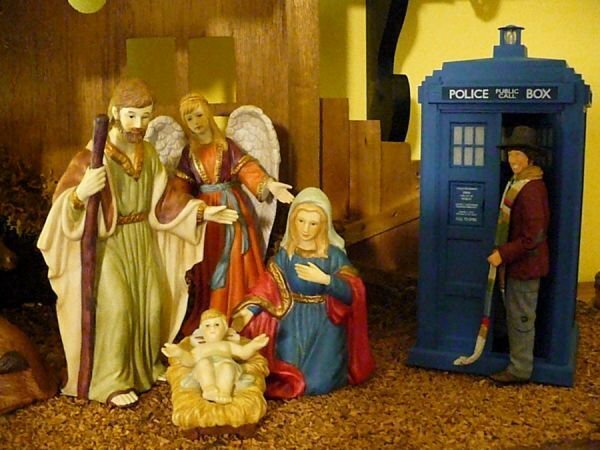 We need to make nativities more geeky. And this is a great way to start. By introducing the Fourth Doctor into the scene. Maybe he can offer baby Jesus a Jelly Baby. Although, I personally think the Doctor should be Matt Smith. And forget Joseph and Mary too. If you use Matt Smith, you have to use Amy and Rory, with a Weeping Angel behind them, while they all look over a baby River song. But that’s just me. I’m more geeky than religious, though. Maybe the three wise men can be Cybermen in robes. Hmmm. I might just have to make one of these for myself. Twitter is probably the most up-to-date source of both the most useless as well as the important issues of the day; it’s like a thousand free radio stations where some broadcast nothing but ads while the rest have schizophrenic DJs and reporters. 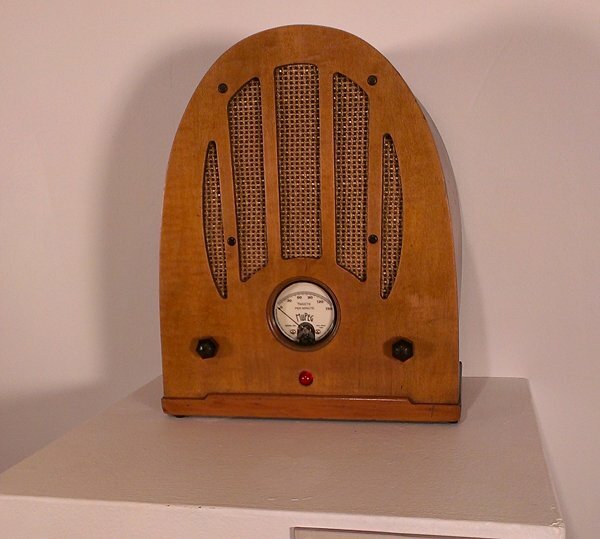 So… it’s not like a radio station at all. 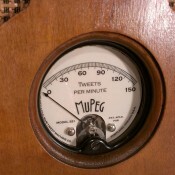 But I still find this tweet-speaking radio to be an awesome mod. 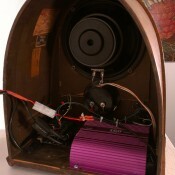 The not-radio was made by Sean Hathaway, who calls his device “Volume and Noise.” It has a wooden case from an antique radio but its innards and display have been upgraded with equipment like a newer amplifier, an Arduino microcontroller and a meter that shows the number of tweets per minute. It filters tweets based on user-defined search terms and then converts them to speech using synthetic voices. In the video below Volume and Noise is tuned in to political search terms. I like the addition of static and tuning sound effects. 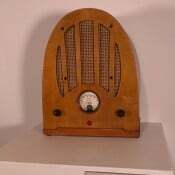 I wonder if it would be possible to order it to make a voice command that tells the radio to save or mail a link to the tweet it just read. That way it would be even more useful. Can't get enough of Domo, NHK Japan's lovable toothy mascot? Well guess what, your dreams have come true! Not only does the Domo Toaster brand an image of Domo-kun onto each and every slice of your morning toast, the toaster itself is styled to look just like Domo. Hey kids, it’s time for Yoooooooooo Gabba Gabba. Now you can take home the fun-loving characters of from the hit TV show that’s popular with both kids and stoned (on now legal weed) adults with Yo Gabba Gabba Nesting Dolls . 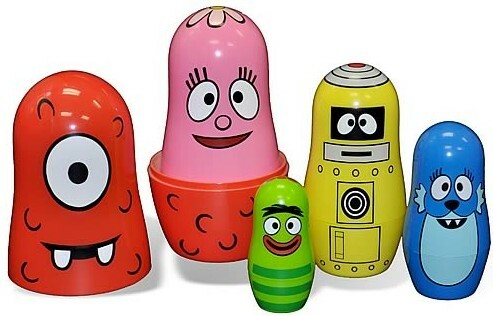 All the characters fit inside one other starting with the 4.5″ tall and friendly Muno, then pink and happy Foofa, Plex (the magic robot), Toodee who likes to have fun, then the little green one Brobee at just 2″ tall. You get to be DJ Lance Rock I guess. Goodbye, goodbye, goodbye, goodbye- goodbye, see you later we had fun. Some of you will think this guy is the best dad ever, while others will think he is lazy. Personally I think he’s pretty awesome. Paul Wallich has entrusted a quadcopter to walk his son to the bus stop. 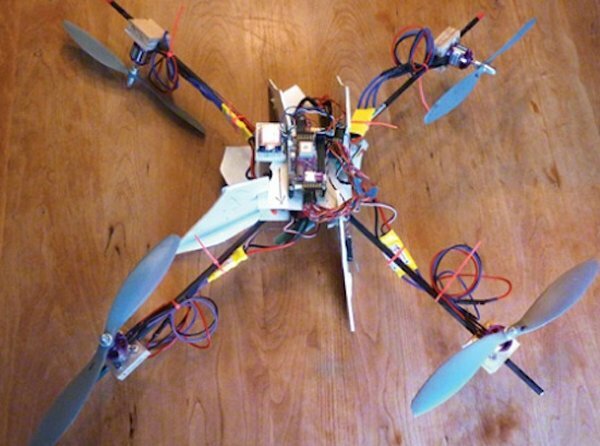 The quadcopter was keyed in to track a GPS beacon in his son’s backpack. This is high-tech parenting at its best. This flying drone can follow his child from a set distance and make sure the kid stays safe and out of trouble, while pop watches the remote video camera from the comfort of his computer screen. Getting this device to follow his kid was the tricky part. 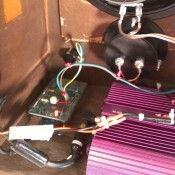 An RFID solution would have required a bulkier antenna than the craft could really carry. So he used a navigation program that keeps the copter a set distance away from the GPS beacon it is following. This kid is hopefully pretty popular right now thanks to his dad’s inventiveness. Now he just needs to rig it to fire projectiles at any bullies his son encounters on the way to school.